Star Trek’s thrillingest, mushroomiest franchise returns for another season. 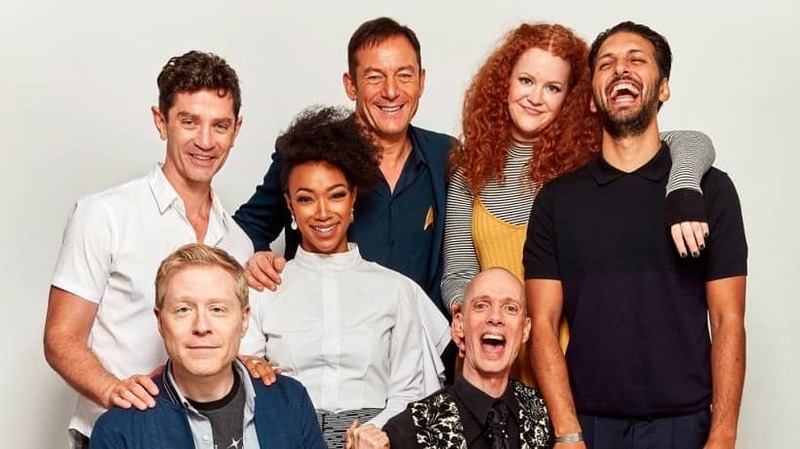 Michael and crew, even including a certain Captain Pike, will be addressing personal issues and saving the galaxy weekly on Netflix. 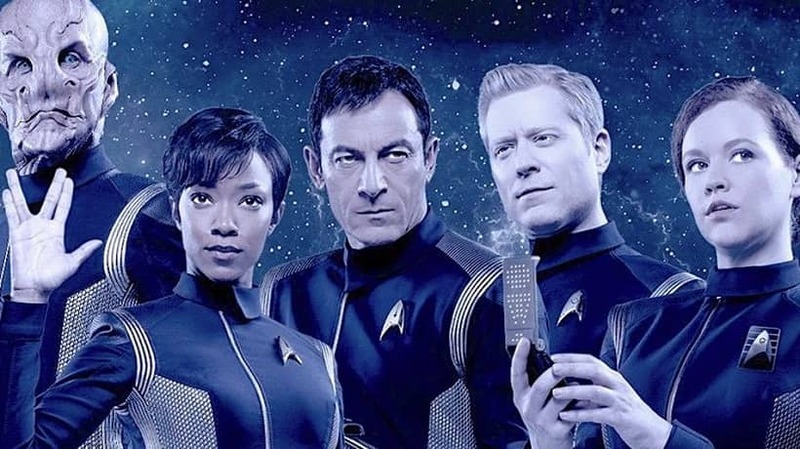 Discovery’s addition to the Star Trek universe(s) starts ten years before the original series’ Kirk, Spock and ‘Bones’ McCoy’s mission begins. 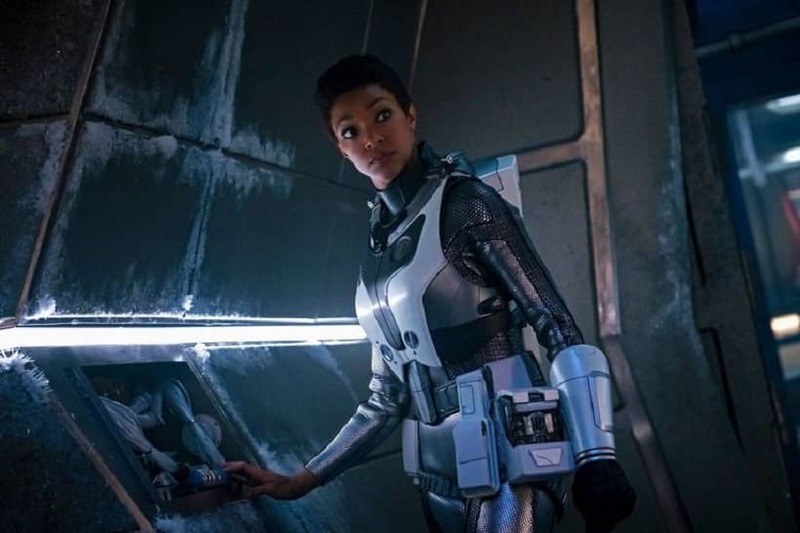 Set aboard the USS Discovery, the first season followed recently-furloughed mutineer Michael Burnham as she assisted Captain Lorca and his crew in their efforts to win a war against a radical Klingon cleric and his adherents. We’ll also meet Spock, Michael’s foster brother; there’s some serious character development on the horizon, as well as mysterious space objects to investigate. Discovery’s showrunners Aaron Harberts and Gretchen Berg have been fired, replaced by Akiva Goldsmen. Necessarily, though, some characters aren’t coming back. Lorca’s likely gone for good. We probably won’t see Michelle Yeoh again. And Voq’? According to actor Shazad Latif, Voq’ will return in season two with a different, more complex characterization. ‘It’s like another new version – now he’s meshed, now he’s got Voq’s memories. That’s where we’re sitting,’ says Latif. There will be some new faces too. Anson Mount as the legendary Christopher Pike, a very un-Lorca-like captain who even voluntarily cedes command back to Saru in the first episode. And Ethan Peck will play Spock, Michael’s foster-brother. Where can you watch Star Trek: Discovery Season 2? Star Trek: Discovery is available to stream on Netflix and CBS: All Access, depending on your location. CBS: All Access is releasing episodes at the same time as Netflix, weekly on Fridays. The release schedule seems to be the same internationally, meaning you should be able to see Discovery wherever you are. You shouldn’t need anything more than a working CBS: All Access or Netflix subscription. If you do run into any problems, though, consider using a VPN with servers in a country where the show is available. We’d recommend Nord VPN for that. It’s not quite the fastest, nor the most secure — but it has healthy scores in both columns, and it reliably unblocks a huge range of content worldwide. To learn more about which VPNs are good choices to unblock content, check out our guide to the best VPNs for streaming.